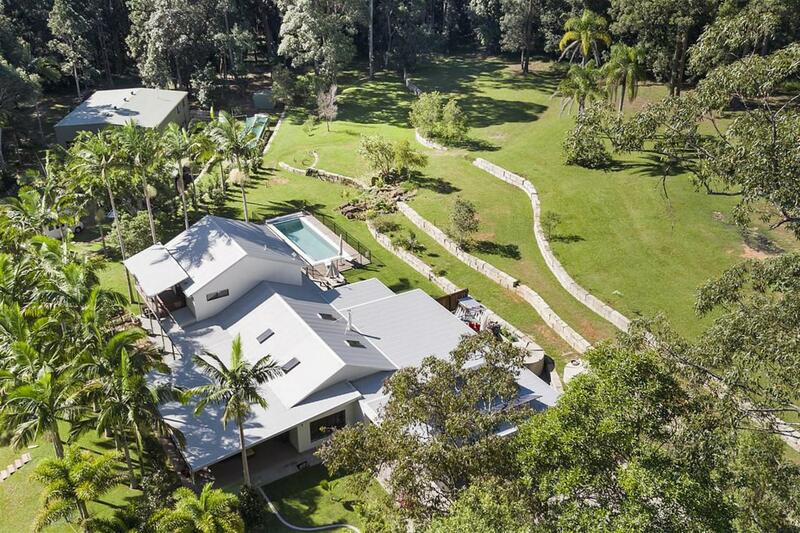 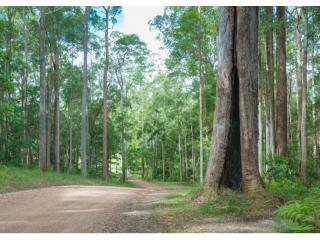 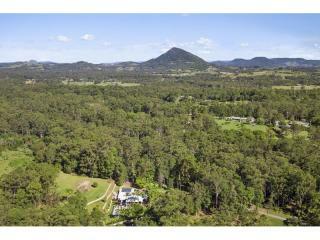 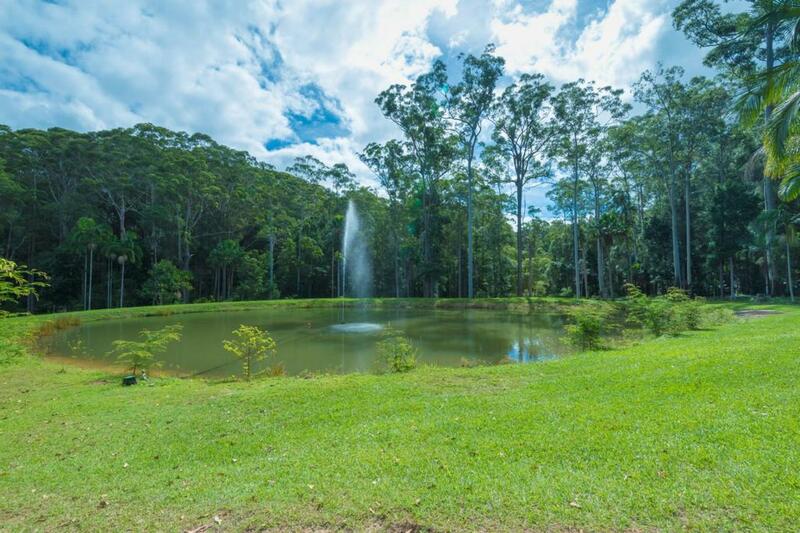 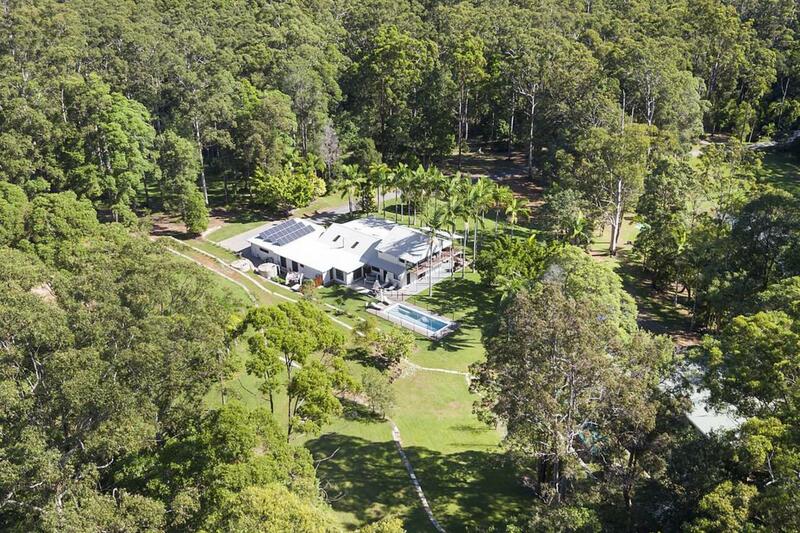 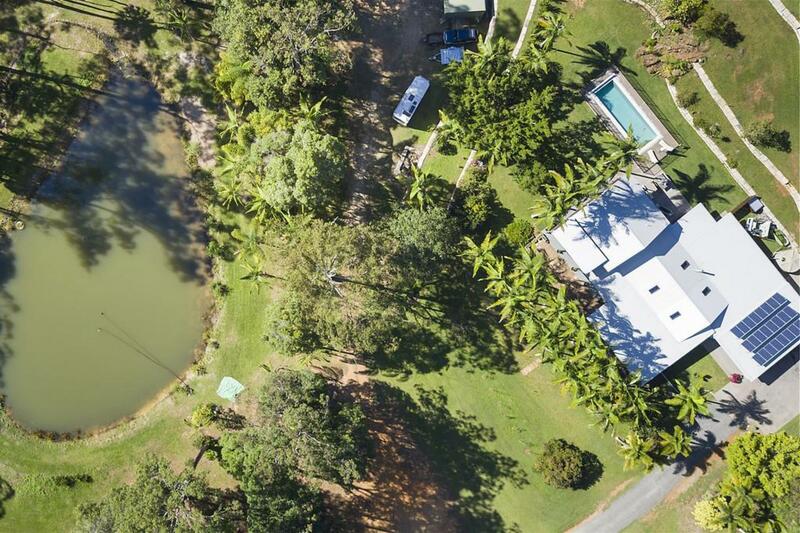 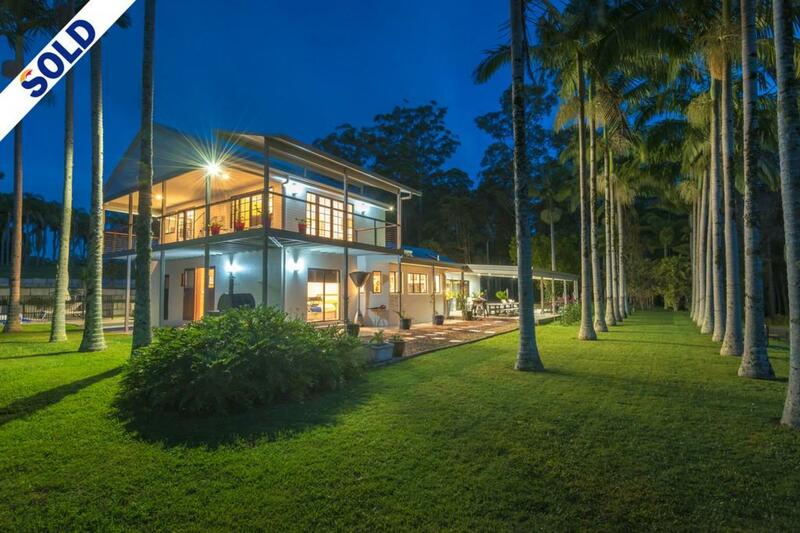 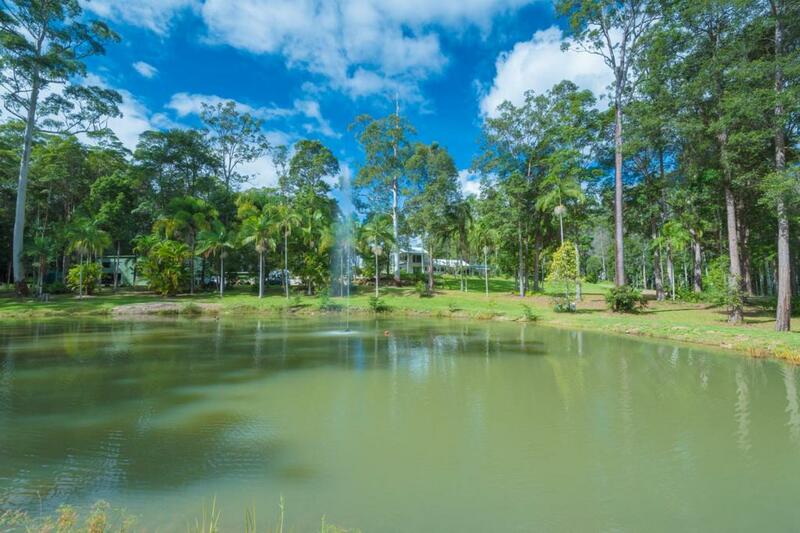 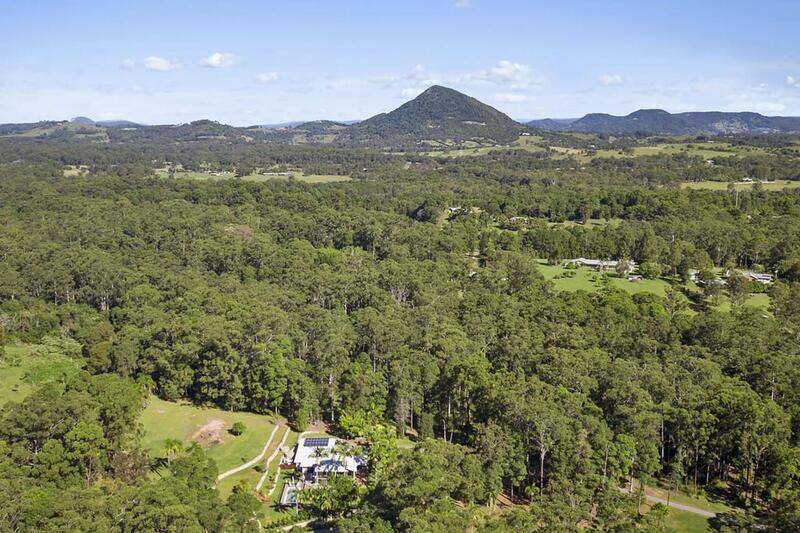 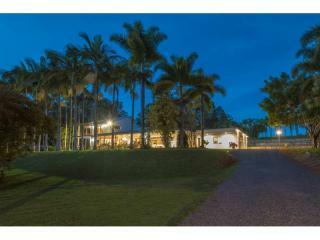 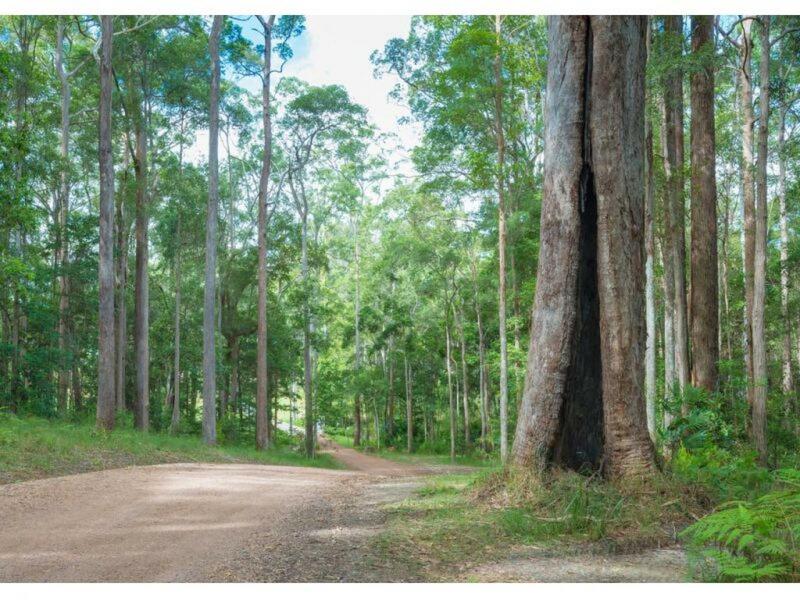 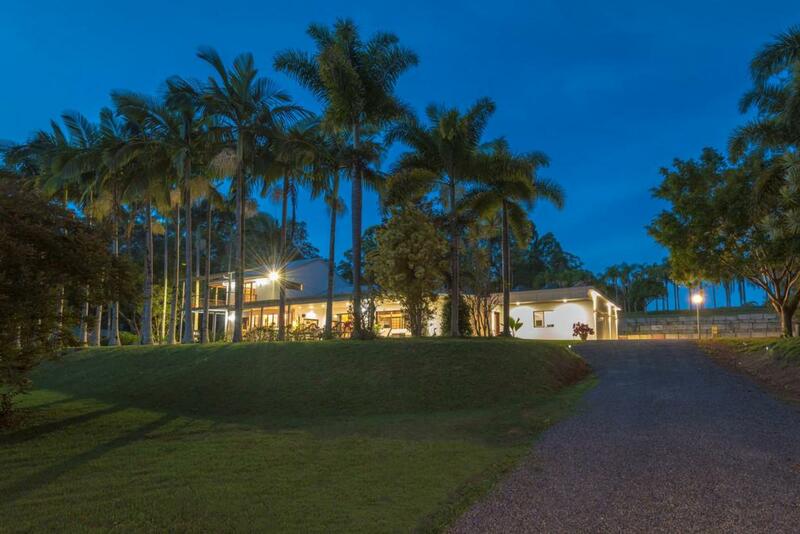 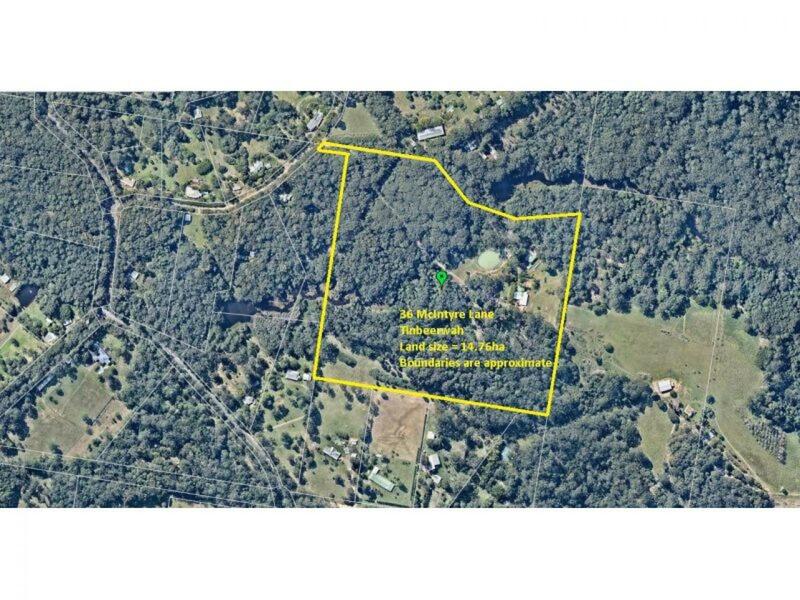 A private place of relaxation, this 36 acre property has the feeling of a country estate, yet 36 McIntyre Lane, Tinbeerwah is just a 10 minute drive into Noosa and only 5 minutes to Cooroy. 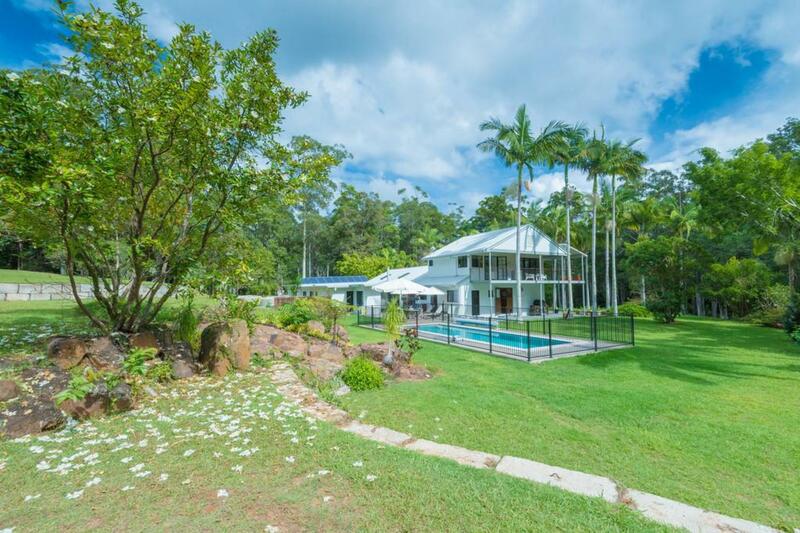 What was once a little weekender cottage has been totally transformed with a substantial extension and renovation by the current owners, into what is now a grand new homestead. 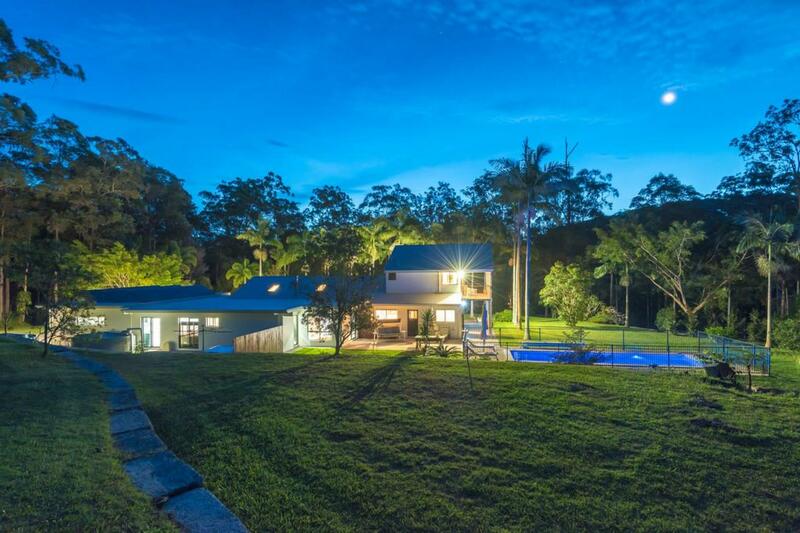 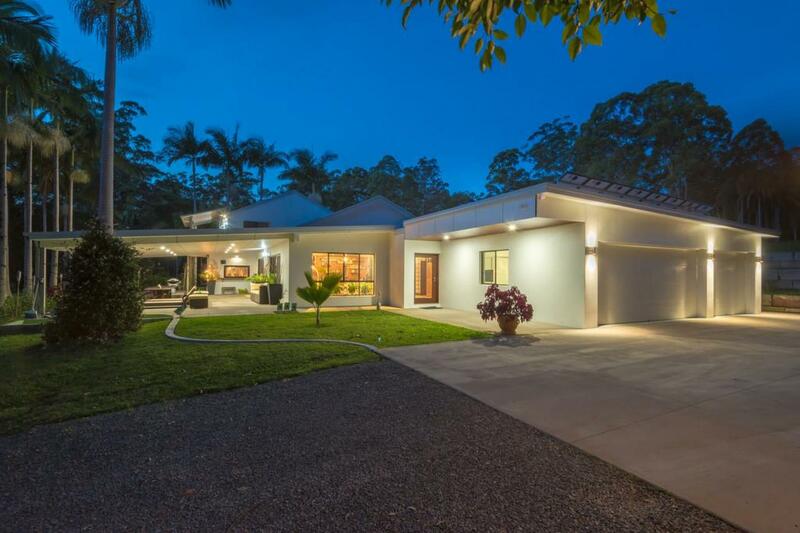 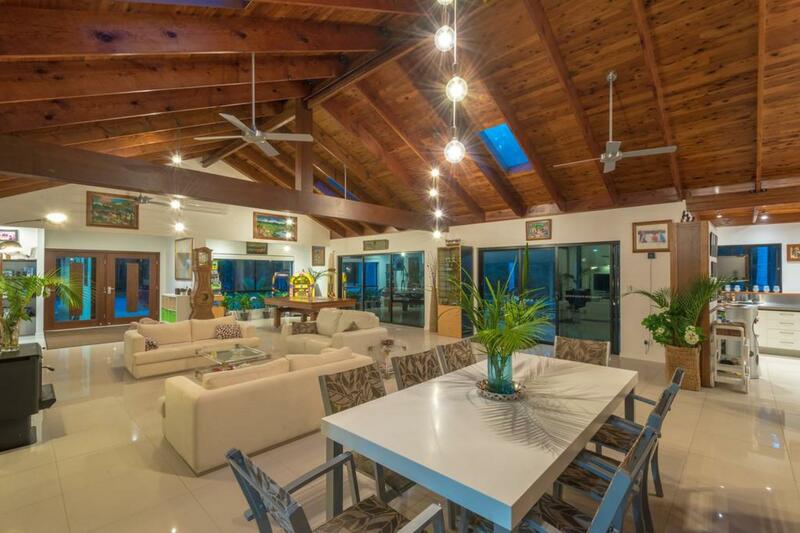 Situated in complete seclusion the property's entry is through pristine tall rainforest timbers and a remote controlled gate, then a night lit driveway that winds up past the large spring fed dam to the home's discerning position. 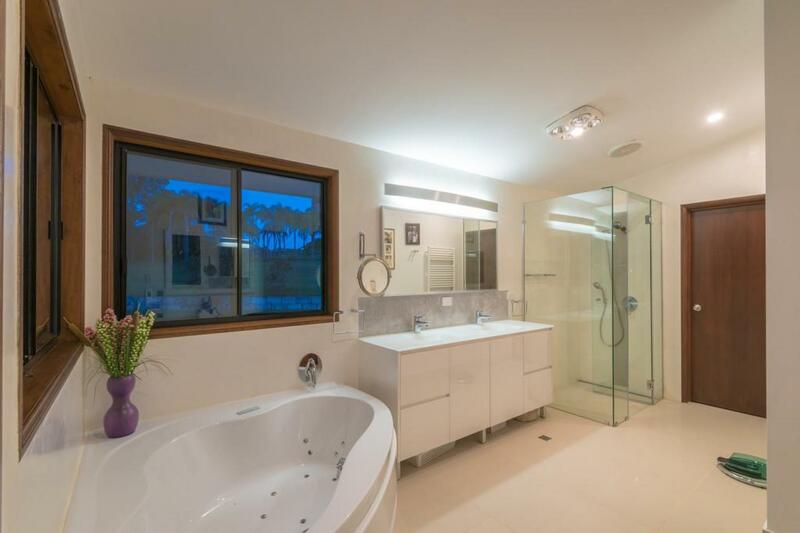 Quality is everywhere and with no expense spared, the home now boasts 4 bedrooms, 3 of which are beautifully ensuited and the 4th bedroom with its own dedicated bathroom. 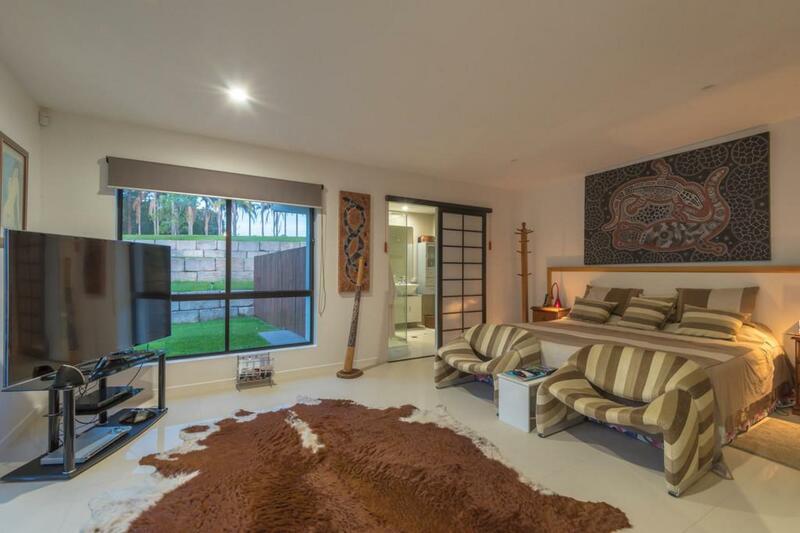 Easy care big tiles on the floors throughout, with huge open plan living enhanced by cathedral height ceilings that are lined with timber to really complement the homes rural position. 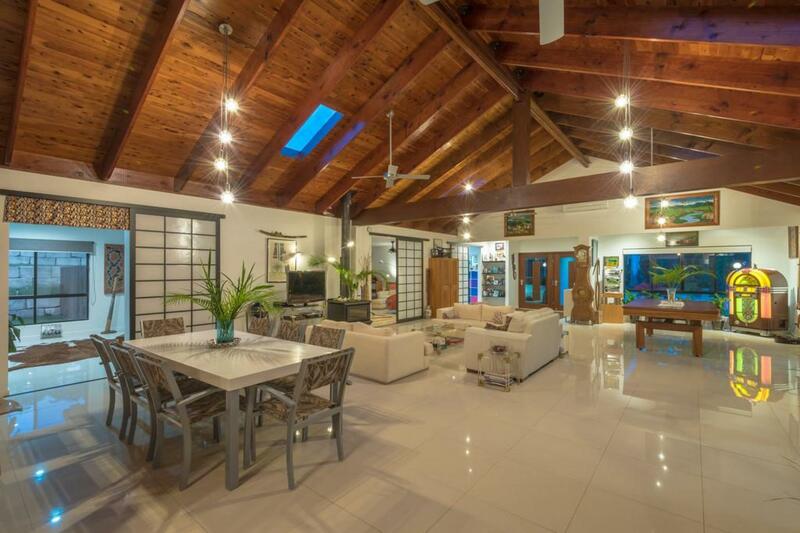 An exposed brick wall hints to the homes history and is a feature echoing current day retro styles that renovators are trying hard to achieve. 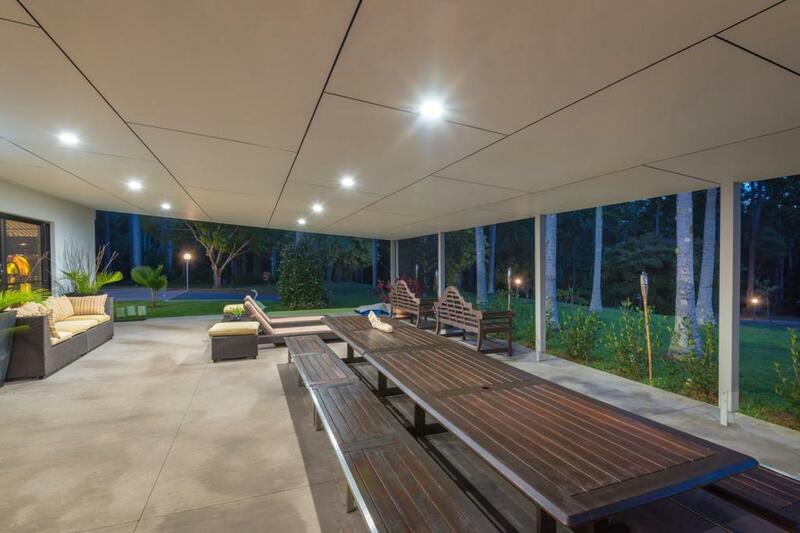 With thought to efficiency for spaces this large, split system air conditioning is used throughout plus there's a big freestanding steel heater for warmth in the cooler months. 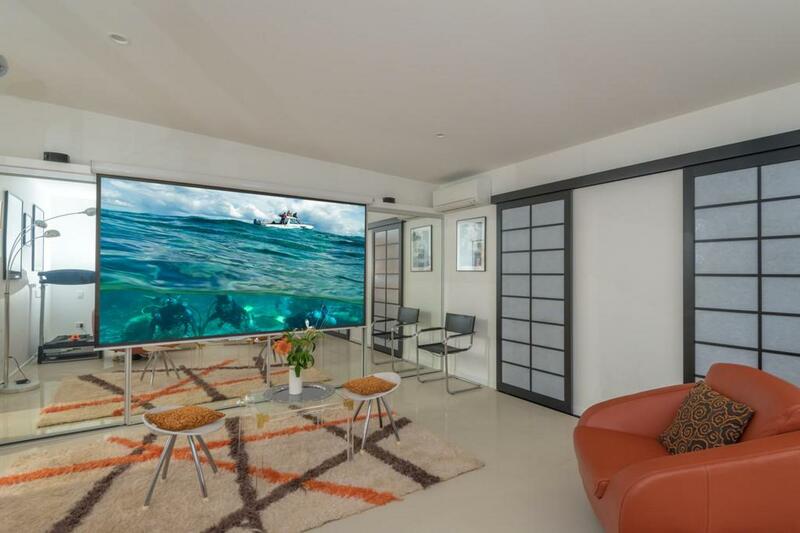 One of the bedrooms would also double as a home cinema room with the projector and electric screen included in the sale. 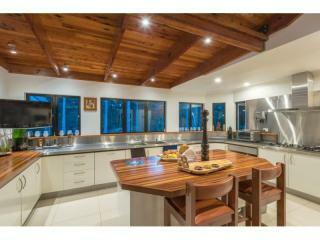 The richness of timber is a feature throughout and is befitting in the well appointed and refined kitchen. 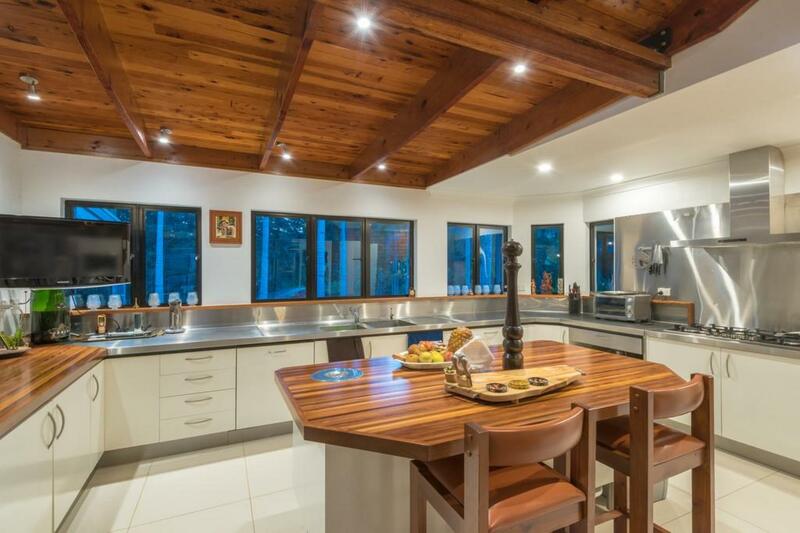 Here the look blends with the slim line sparkle of stainless steel and will give all keen cooks the inspiration of being the masterchef of their own kitchen. 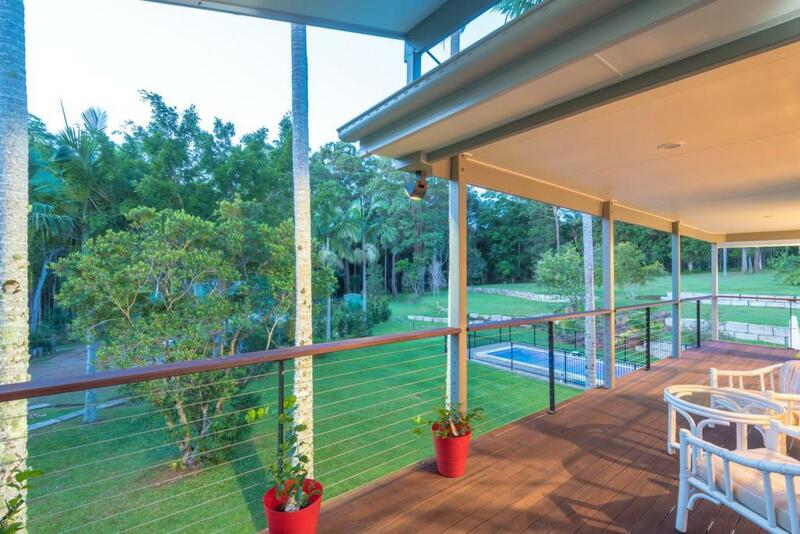 Outside entertaining with friends and family or simply relaxing is taken care of easily with a private balcony off the main bedroom's top floor position and the huge covered ground floor terrace. 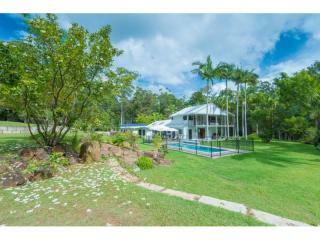 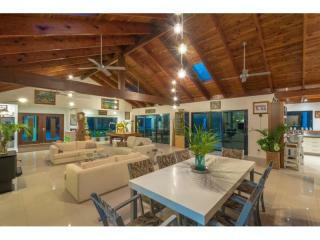 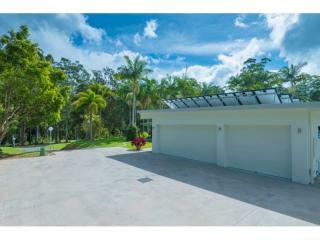 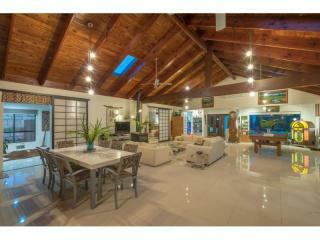 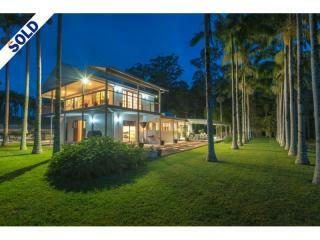 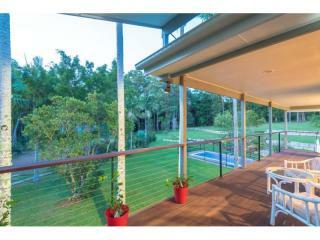 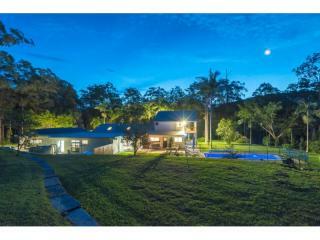 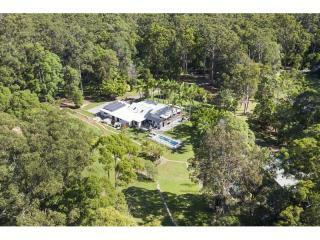 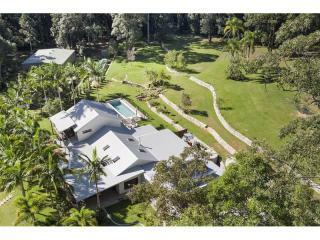 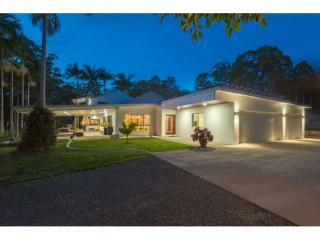 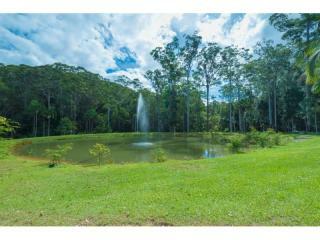 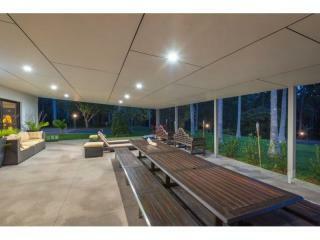 Cool off in the sparkling 10m x 3m in ground pool or stroll in complete privacy around the property's easy care grounds. Set slightly away from the home is a 200m2 shed that will thrill any property owner. 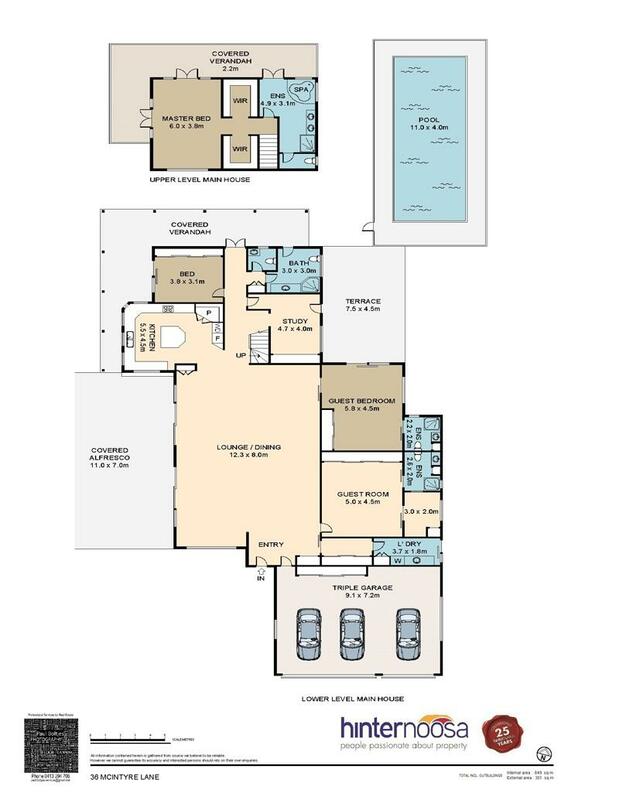 Ideal for any type of storage or goings on, it also benefits from a well equipped studio on the mezzanine level inside. 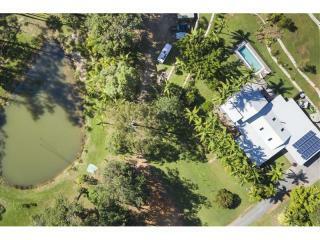 Such an interesting property with some cleared areas, enough for a horse or few, or just the room to run and indulge. 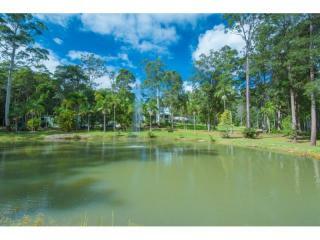 This walkable acreage not only has a dam but also a tributary of the 6 mile creek running through. 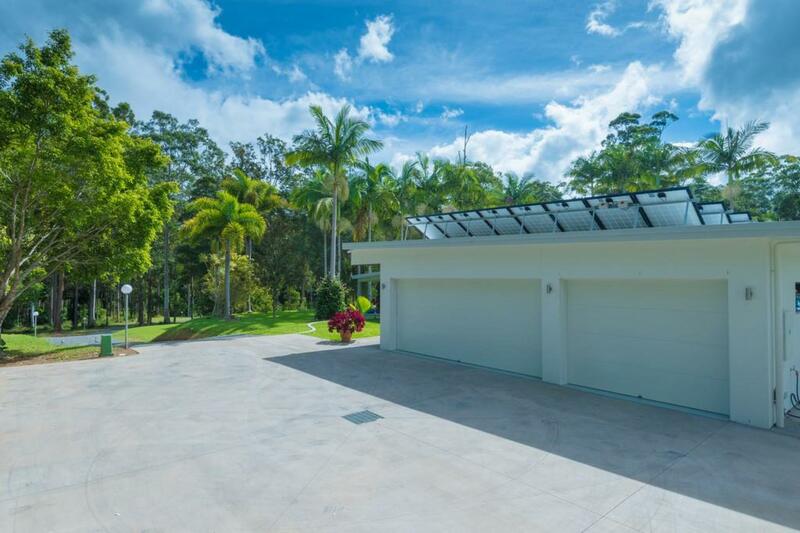 Other features include a home alarm system, cctv camera with recorder, 24 solar panels (5kW), all LED lighting, chook pen and 4 big rainwater tanks. 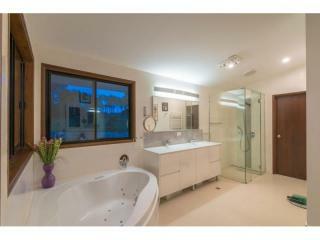 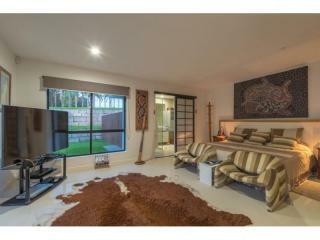 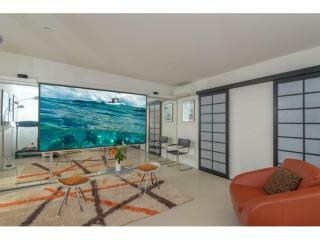 Inspection is by appointment so please contact me directly for your private viewing.